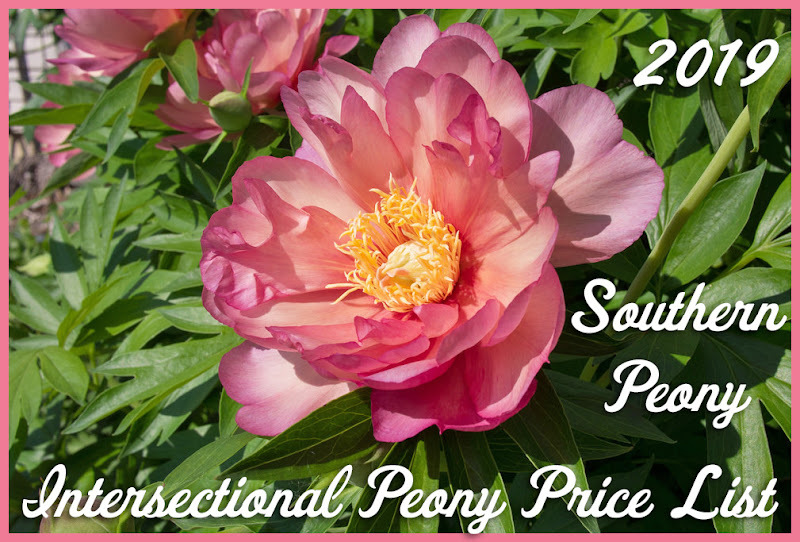 If you want to see the pictures from my favorite individual blooms from week 4, you can find them in my post 2012 Peony Blooms Mid Season - Week 4 . As for my favorite overall performer for the bush as a whole for week 4, there is no contest. It is definitely Peony 'Do Tell'. This peony has a multitude of pink blooms with an interesting pink and white center of tiny wavy petals. It almost looks like a hairdo that Ke$ha would wear! The blooms open on different days. So they will usually last for a couple weeks. 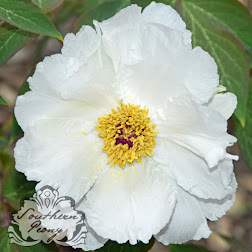 The plant is a consistent bloomer and grower year after year in this climate, multiplying steadily at a rapid pace. It seems to be very happy here in my southern climate. 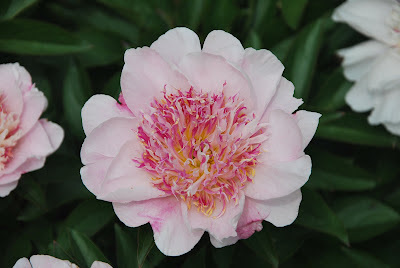 It definitely earns its 2004 American Peony Society Gold Medal every year in my garden!